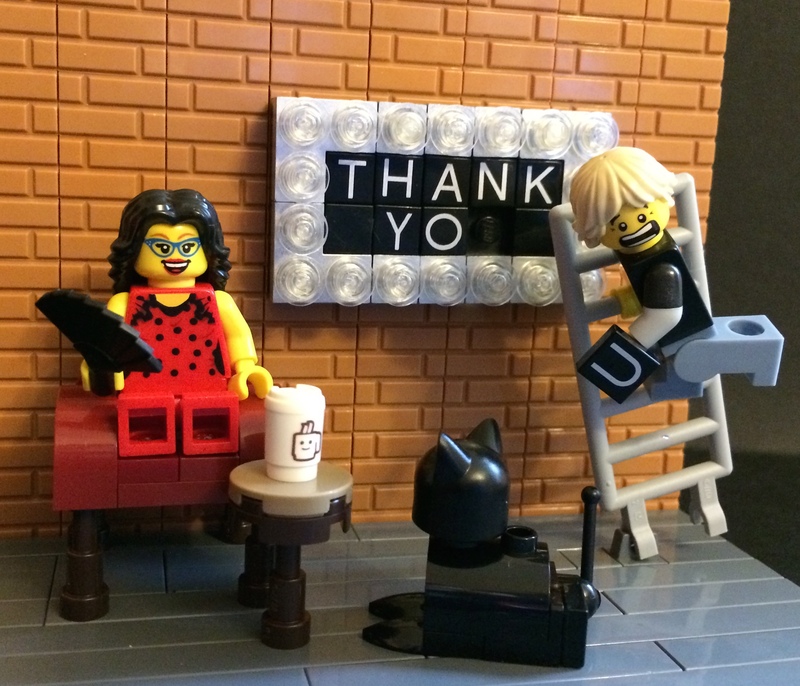 This years thank you card to go to our friends and family who gave presents and hosted us over the festive period. My partner Helen (Spanish) in the club chair ‘supervising’, Bella the Norwegian Forest cat is nearby and me…working hard as usual making the thank you card. This years Christmas Card design. I should mention that my cat, Bella, is a large black Norwegian Forest Cat – more of a panther really!! 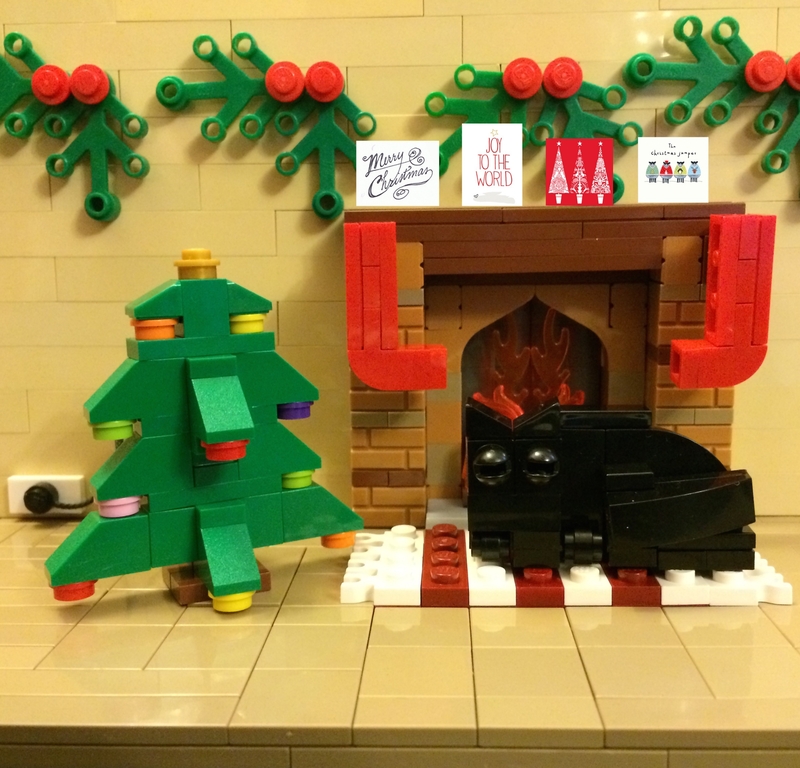 Categories: Lego, Vingettes | Tags: Bella, Card, Cat, Christmas, Christmas tree, coffee, Festive, Fireplace, Lego, Thank you card | Permalink. Legofied Photograph My partner (on the Right) and her friend asked me to take a photo before a big night out at the weekend – I thought I would capture the moment in LEGO. 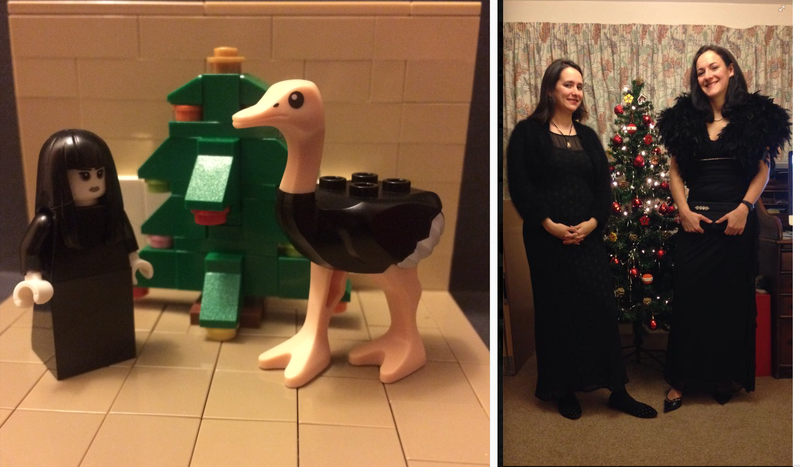 Categories: Lego, Legofied Photographs | Tags: Christmas tree, Helen, Lego, Photograph | Permalink.